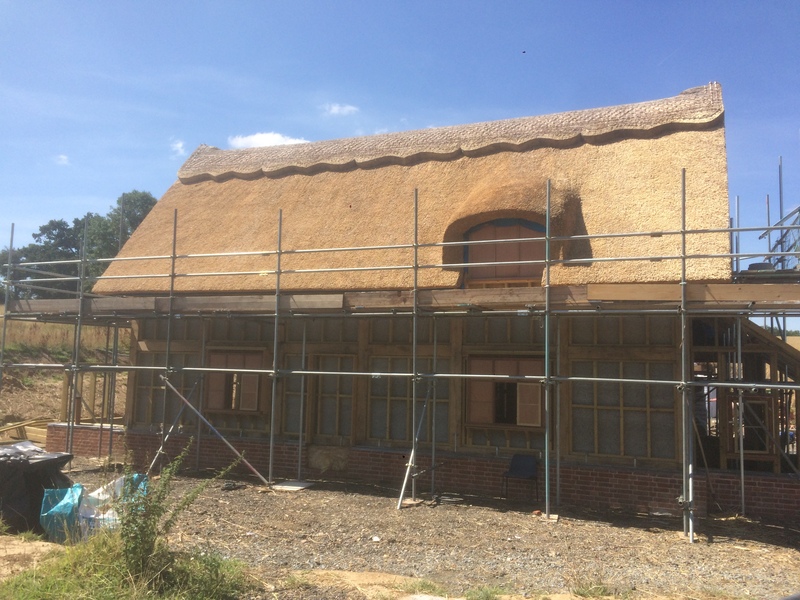 Thatching Advisory Services (TAS) have received notification that both their Thatch Fireboard System and Thatch Firewall Membrane System has been approved and added to the Local Authority Building Control (LABC) Registered Details database. 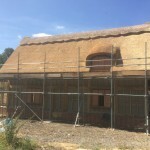 LABC registration is a one-off certification process proving compliance with building regulations and standards across the UK. The registered details database contains various products and systems, which once certified, are accepted by LABC building control surveyors in over 300 local authorities across the country. 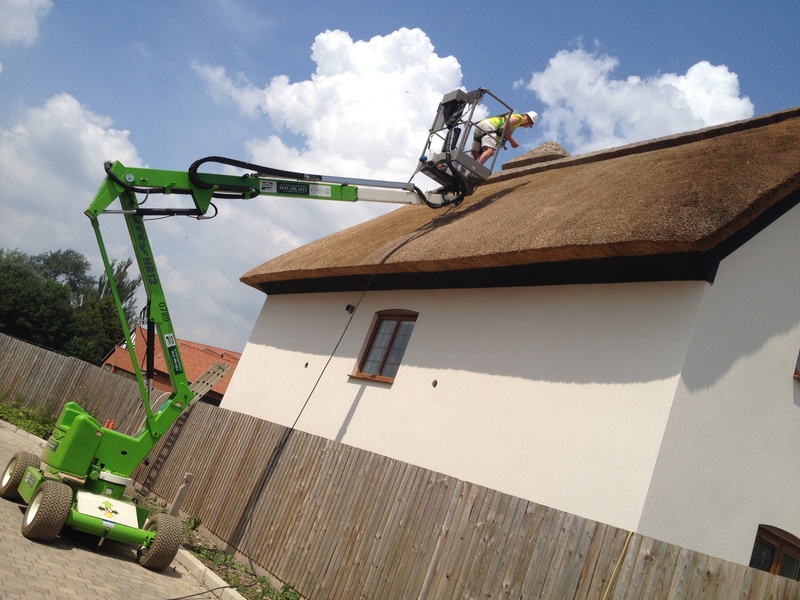 This assures the whole construction industry that a product or system has been rigorously checked by LABC surveyors. Thatching Advisory Services are pleased to announce their involvement in the ‘Future Thatch’ project at the 2017 Ideal Home Show. The ‘Future Thatch’ project will see a newly built thatched property in the main show village. Every year, the main stunning feature of the Ideal Home Show is the three fully built show homes where over 250,000 visitors have the opportunity to fully explore and take inspiration from. 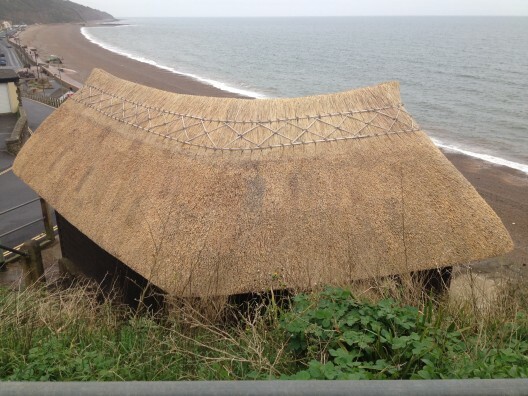 The last time a thatched house featured in the Ideal Home Show was 1976. 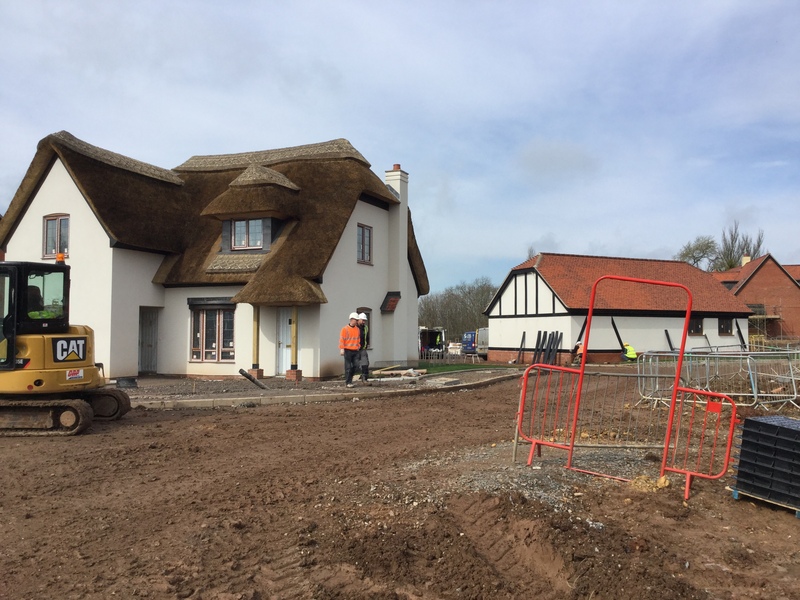 Each show home is built to Building Regulations and like many thatched new builds; the show home will incorporate the TAS Thatch Fireboard System and Thatchsayf Fire Retardant Spray System. 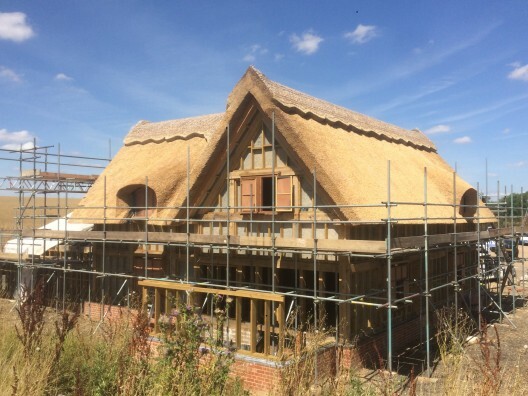 We are delighted to play a leading role on the thatched show home and will be on hand throughout the show, which runs from March 24th – April 9th 2017 at Olympia in London. 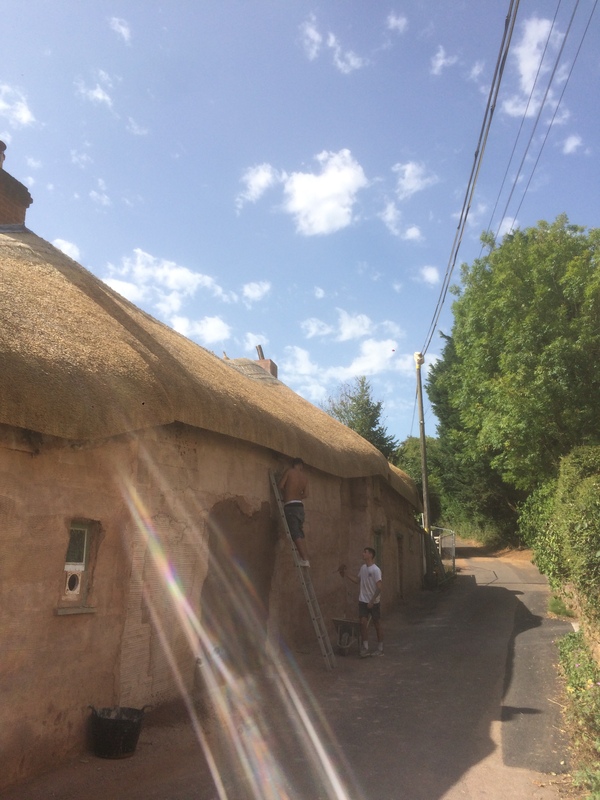 Thatching Advisory Services recently completed the application of Thatchsayf fire retardant to Stream Cottage in Glynde, East Sussex. 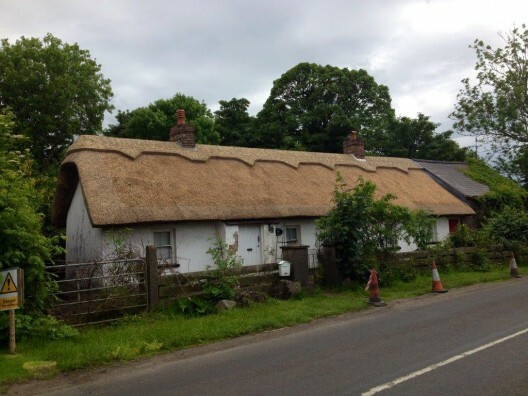 The Grade II listed cottage is one of the oldest in the Glynde parish, dating back to 1556. 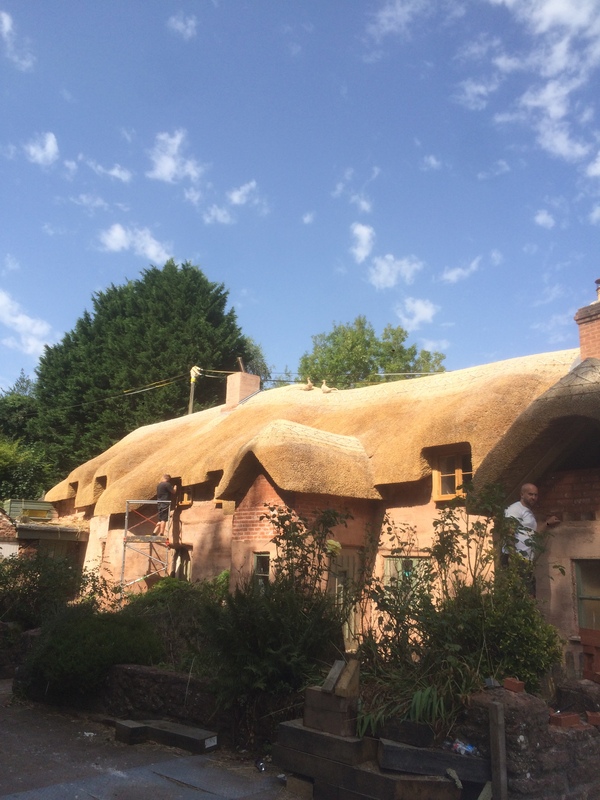 Prior to the new thatch, the roof structure also had TAS100 Thatch Fireboards and Thatchbatts® installed. Thatching Advisory Services have been out and about recently treating a number of thatched roofs with their fire retardant – Thatchsayf. 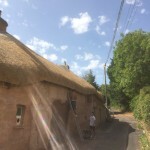 Mid-July saw Gary go off to Portadown in Northern Ireland where Master Thatchers (North) Ltd recently completed a full re-thatch of the roof at Bilbrook Cottage. The cottage, which is one of Portadown’s oldest – dating back to 1642 – was extensively damaged by fire in April 2013. 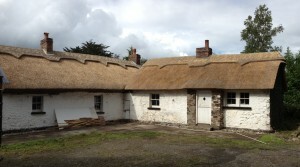 The cottage also had TAS100 Thatch Fireboards and Thatchbatts® installed prior to the thatching taking place. 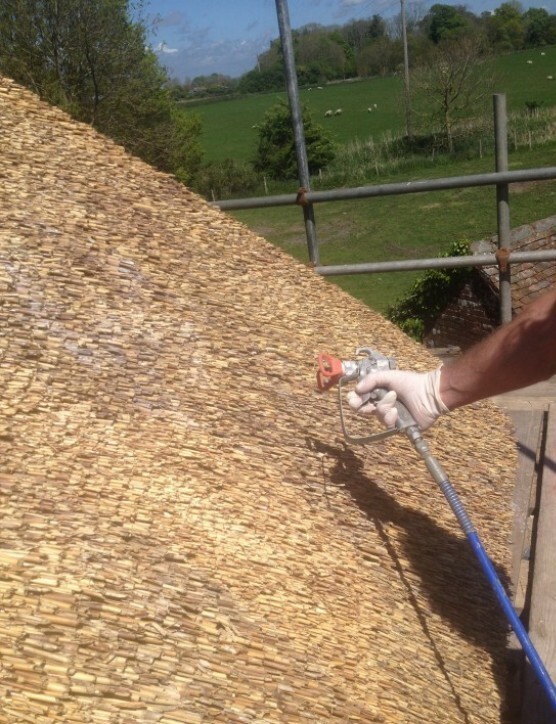 The 230m² roof was treated with clear Thatchsayf.